With this victory, it will be make 73 wins for them of the regular ones. It highly looks like that they are going to win with ease. They were the first team to book themselves a place in the playoffs and since then, they have continued their incredible performance. They got a stunning start with 24-0. The only record ahead of them is 72-10 created by Bulls in 1995-96 season. Initially, there was immense pressure on each and every game they played. It is one of the rarest teams which have got such a start in the NBA Playoffs. Warriors have been an extraordinary team. Current MVP Stephen Curry and sharp shooter Klay Thompson have done a brilliant job so far. They have made an average score of 29.9 and 22.2 ppg. Apart from those two, Draymond Green has come forward and played beautifully whenever his requirement was required to the team. If all of three played superb and to the best of their form, then none can stop the team from creating a record and redefining the history in Oakland. Still, Curry feels like it a dream that they are going to break the record of the Bulls. “When we started and had the score of 24-0, it was like ‘maybe we can do it’ situation. Since then, we have played to our best at every night whenever we had a match. However, winning these many games seems impossible. But, it did happened. We have got one more chance to beat the record,” Curry said. Although Memphis Grizzlies are performing low lately, still the defending champions Warriors can’t take them lightly. They are on their losing streak with losing three games in the row and nine out of ten games too. Grizzlies have the power and can turn out to be the villain for Warriors, the favourites. The Grizzlies don’t have to scare or even bother about the result, even if they go out to defeat their opponent. If they managed to win, it would hold their head highs to enter into the next playoffs. If Grizzlies want to stop Warriors, then they will have to step up their game to the next level. The match venue will turn yellow being the last regular game of the season. After this, they will be seen in the playoffs in an exciting game ahead. Warriors will go into the playoffs as favorites even if they fail to break the Bulls’ record. 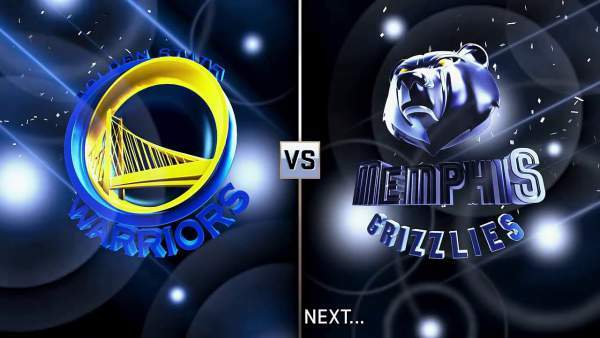 Warriors vs Grizzlies will start at 8 am IST (2:30 am GMT). It will be covered in India with the telecast on Sony ESPN and stream online on SonyLiv. The US audience can enjoy GSW v MG on ESPN and online on Watch ESPN. The NBA game will be available on BT Sport 2 with live stream option on Watch BT Sport in the UK. The people residing in Philipines can catch the live updates on Fox Sports. Stay tuned to The Reporter Times for 2016 NBA live commentary, match updates, full scorecard, highlights, game result and much more. Don’t forget to share. Predict your winner. Who do you think will win the game? Join the conversation below via comments. Share your views and thoughts with other readers and us. Previous articleTwitter Down Worldwide: Is “Lizard Squad” the Reason?